Multiple layers of malware-crushing tech, including virus protection. Thorough malware and spyware removal. Contact us for 25% off! NEW - Support for popular file sharing services such as Dropbox, Google Drive, OneDrive, etc. 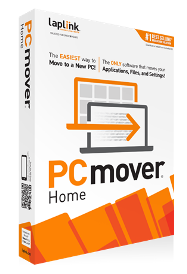 PCmover is the ONLY software that automatically transfers, restores, and upgrades all selected files, folders, settings, user profiles, and even applications from an old PC to a new PC or operating system, including Windows 10. And because most migrated applications are installed ready-to-use on the new PC, thereâ€™s usually no need find old CDs, previously downloaded programs, serial number or license codes. Contact us for 35% off! Gillware Data Recovery specializes in recovering data from damanged storage devices, such as hard drives, phones, and memory cards. They have a no data, no charge policy, meaning you see what files they are able to recover before you pay a cent. They'll even send you a free shipping kit to send in your device, and there's no charge for them to take a look. Reference our Partner Number, 51745, when opening a recovery case.